This year Poland had another strong national final in Warsaw. The Polish broadcaster has put a lot of effort to make the show to shine. 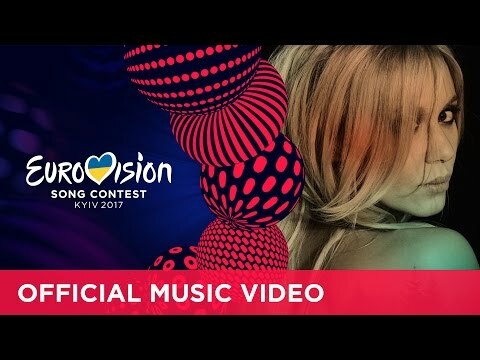 Maybe the Polish people have been delighted that the neighbour country Ukraine has won the ESC for the second time, but Poland never made it. But it would be time that one day Poland wins the crown of Eurovision. Kasia Mós has already been seen as one of the favourites as she has already participated in the Polish final for two times, 2006 with “I Wanna Know”! At the end she could win the ticket to the ESC with the dramatic power ballad “Flashlight”. Kasia Mós was born close to Katowice in 1987. She comes from a family of musicians, her father is a violinist in the popular chamber orchestra and her brother Mateusz is also a violinist and composer and produced her debut album “Inspiration”, which is a mix of electronic, soul and pop music. Kasia studied piano, jazz education at the music academy in Katowice and appears regularly at festivals, musicals and also joined the orchestra of her father. One of the highlights in her career is the appearance in "Pussycat Dolls Burlesque Review". Her second album “Addiction” Kasia released in 2016 and reached a 6th place in the Polish charts. She is now working on her new album. “Flashlight” is a special song with a very sophisticated and adult note. The video-clip is showing a very intense music range and a big orchestral climax. Unfortunately, the live performance at the national final did not have the same format. Let’s hope that it will be improved for the Kiev. The song is about a strong bond between lovers. There is a British composer team Pete Barringer and Rickard Bonde Truumeel, and Pete has also been involved in this year’s Czech entry “My Turn” by Martina Bárta. The Polish song might have good chances for a good place, but it could be seen as too dark and unhappy. Poland had its debut in the 1994 Eurovision Song Contest in Dublin, Ireland. So this year it’s Poland’s 20th anniversary at Eurovision! Congratulations! Together with six other debutants, the year of 1994 was the year of new countries all from Eastern Europe. It’s a truly success that the Polish entry “To Nie Ja!” by Edyta Górniak made a wonderful second place from the stand. This has opened a world career for Edyta and she is still a star in Poland. Unfortunately, this strong performance could not be maintained over all those years until today. Poland’s contributions were quite extraordinary and special in particular in the first years they have tried to find their position with offbeat compositions. The effort of the Polish composers and performers to develop Poland as a new highlight in the ESC has paid off. But some of the songs might have been too complicated for the average European taste. That’s why the Polish entries struggled and still do struggle with the qualification for the Grand Finals recently. Since 2004 Poland only made it five times into the Grand Final. And over all Poland made it in the Top 10 three times. This is statically chance of 16% for Poland. Last year’s entry “The Colour Of Your Life”, was one of the surprise entries and made a fantastic 8th place in Stockholm. The majority of the points Michał Szpak could get from the televoting. After organizing the European Football Championship in 2012 together with the Ukraine, Poland could be a good host for the Eurovision Song Contest as well. The Polish people have developed such a great enthusiasm and it would be well deserved if Poland will host it one day.